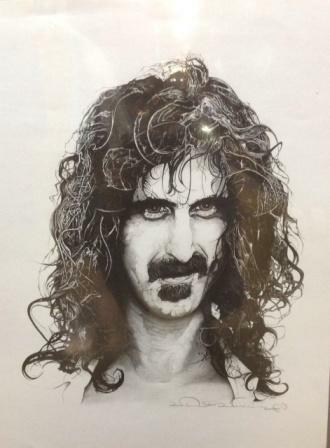 Designed by David Drennon and printed on Bristol paper poster stock, this is a fan inspired art poster print pays tribute to the late Frank Zappa. Measures approx. 17" x 23" and is signed by the poster artist.